Are you looking for a comfortable, warm and hardwearing boot that will add a bit of style to your life this autumn? Look no further, the new Highline boots from Grub’s. The new Highline boots are designed with a traditional profile to look the part this season, whilst offering superior comfort, grip and stability. 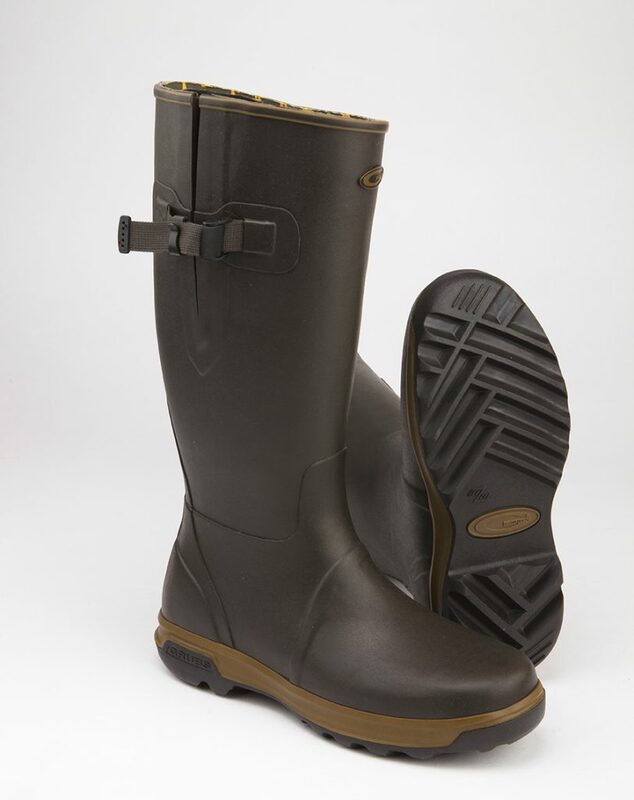 Whether at the stables, in a farm yard or walking the dog, the Highline boots are ideal. The boots feature a full stretch neoprene panel in the shaft and securing strap, giving a comfortable fit for most calf sizes. The 4mm rubber foot with reinforced heels and Underfoot Chassis™ give class-leading stability while the Trak™ sole gives powerful traction on soft ground. These boots are durable, designed to last and provide superior grip. The Highline boots also offer the latest high specification including a Super-Dri™ lining for breathable fit and an insulating and cushioning foot-bed for supreme comfort. Highline are available in a choice of two colours – Sage Green or Mahogany in sizes 3-14.